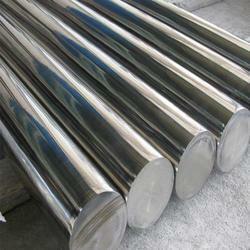 We offer superior varieties of nitronic stainless steels which are nitrogen-strengthened austenitic stainless steels. Our products are highly desired and they contain superior corrosion resistance, and also roughly twice the yield strength at room temperature. Some more advantages of nitronic stainless steels are supreme mechanical properties at both sub-zero and elevated temperatures, along with low temperature impact resistance. They are available at highly cost effective prices and are renowned for their superb resistance to high temperature oxidation. 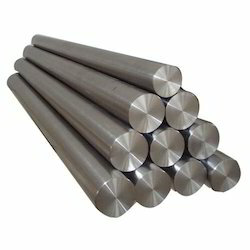 XM-19HS is a high strength (HS) Nitronic Stainless Steel (Nitronic 50) with exquisite strength of nearly three times that of Stainless Steel Grade 316. We are looking for enquires from South East Asia region. The range of Nitronics 50 Round Bars is available according to the clients approach and preferences. The products are manufactured and finished as per the clients need and specifications. These steel bars made of Nitronic 50 stainless steel have better corrosion resistance and durability than the stainless steel products. Additionally, Nitronic 50 Stainless Steel has good mechanical properties at elevated and sub-zero temperatures. Its highly beneficial property of non magnetic nature even in a severe cold temperature. The major content of these products are composed of 20 to 23% chromium, 11 to 13% nickel, 4 to 6% manganese and 1.5 to 3 percent Molybdenum, with the balance of Iron. Also found in Nitronic 50 are trace amounts of Carbon, Silicon, Sulfur, Phosphorus, Nitrogen, Columbium and Vanadium. Nitrogen strengthened austenitic, good Crrosion resistance with improved mechanical properties. The products of the range of Nitronic 60 Round Bars are made of nitronic 50 stainless steel which has greater persistence and durable capacity than the normal stainless steel products. With the resistance power against corrosion and oxidization these products do not require additional heating while welding. These bars can be welded through common welding methods such as gas metal arc, gas tungsten arc and submerged arc. Looking for Nitronic Stainless Steels Round Bars ?